MediMiss Cancer Cure Skin Cancer dangers of skin cancer Diet Tips Dieting Health how to spot skin cancer Melanoma Skin Cancer skin cancer Skin Cancer Treatment Does coffee protect you from skin cancer? A study was recently done to prove whether or not coffee helps prevent skin cancer, and indeed it looks as though this may be true. In fact, women who drank more than three cups of coffee a day showed a 20% lower risk of developing basal cell carcinoma than those who drank less. The study also showed that men who drank this same amount of coffee showed a 9% decrease in this type of cancer. Many researchers think that caffeine is the basis of this result because those who drank decaffeinated coffee did not show the same effects. What the study did not show was a correlation between coffee/caffeine and other types of cancer. One researcher pointed out that the caffeine in facts kills a small number of precancerous cells which tend to become damaged by the sun and are in the process of dividing when they are exposed to the sun. This researcher also stated that drinking coffee to protect yourself from skin cancer may be more powerful on the days you are going to be exposed to the sun, say when headed to the beach. There is even talk of adding coffee to sunscreen as a way to protect. These studies are promising, but are still works in progress. 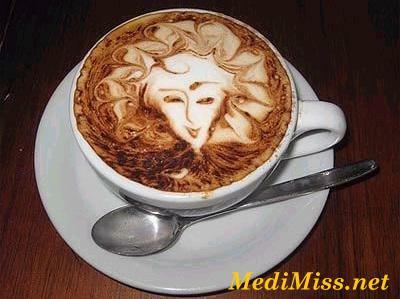 Talk to your doctor before deciding to increase your caffeine intake. But knowing that enjoying a great cup of coffee can protect you in the long run is a great feeling for many of us.